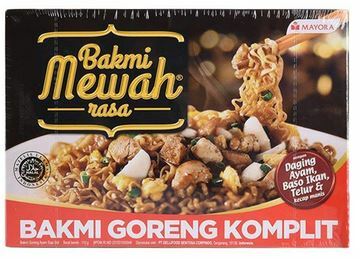 The Bakmi Mewah premium instant noodle range now comes with Bakmi Goreng Komplit, a dry noodle containing real pieces of chicken meat, baso ikan (fish meatball) and telur goreng (fried egg) in a retorted pouch. The first of its kind in Indonesia and was likely launched in August/September 2017. 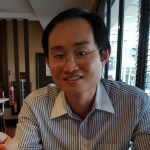 With Nielsen data showing sales of instant noodle in Indonesia falling around 4% in the first quarter of 2017, flavour innovation and premiumisation have become important drivers for the instant noodle category. 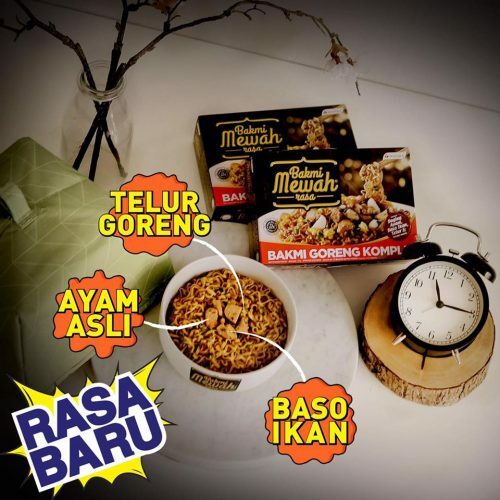 This has prompted Mayora Indah to add another flavour to its highly successful Bakmi Mewah range, first introduced in 2016. 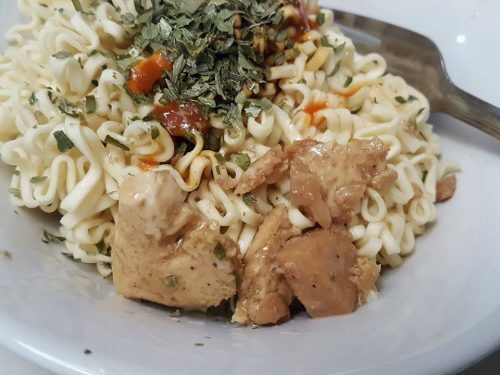 In terms of the taste and the real ingredients, the Bakmi Mewah Rasa Bakmi Goreng Komplit pale in comparison with Bakmi Mewah Rasa Daging Ayam dan Jamur Asli, the first product. It is really hard to identify the different real ingredients in the latest Bakmi Mewah, where real ingredients are supposedly their unique selling point.